Single color cement tiles for immediate shipment in the US and Canada. 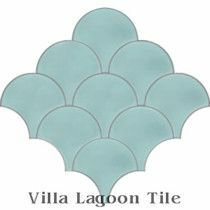 Use for borders, separators, staircase risers, patios and more. 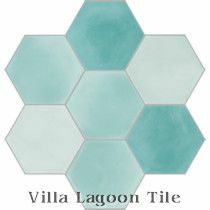 Use complimentary colors in checkerboard patterns, or get creative ! 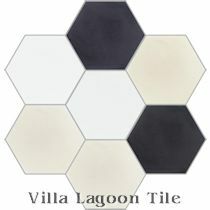 PLEASE NOTE: "Solid Color" only indicates that the tile has one color, with no pattern or design. 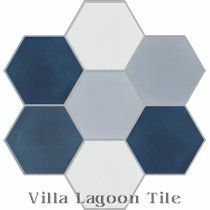 The pigment only extends through the wear layer (about 3mm-5mm), with the remaining tile body layers having no pigment. 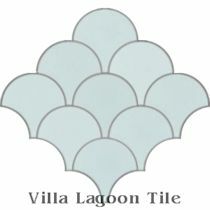 If you require finished edges, custom bullnose and other trim pieces will be needed. 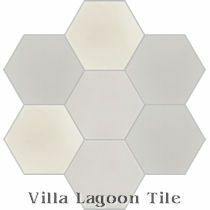 8" cement tile, 2.3 tiles per square foot. 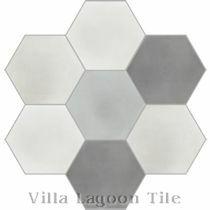 8" hex cement tile, 2.7 tiles per square foot. 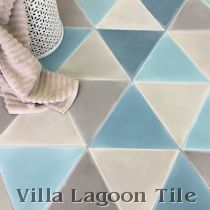 12 tiles per case. 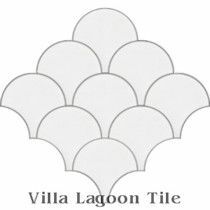 Sold in whole boxes only. Call us at 1-251-968-3375 or e-mail info@VillaLagoonTile.com to order.